Quality properties demand quality images. We worked with a local real estate agent to deliver property photographs that exceeded expectations. 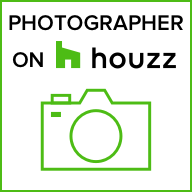 Applying years of photography experience we composed interior, exterior, and twilight shots to capture the look and feel of this agent’s high-quality offering. Using the property design as the format along with the magic of natural lighting, our shots highlighted the stunning lines of the building’s architecture. We can bring magic to your project as well.